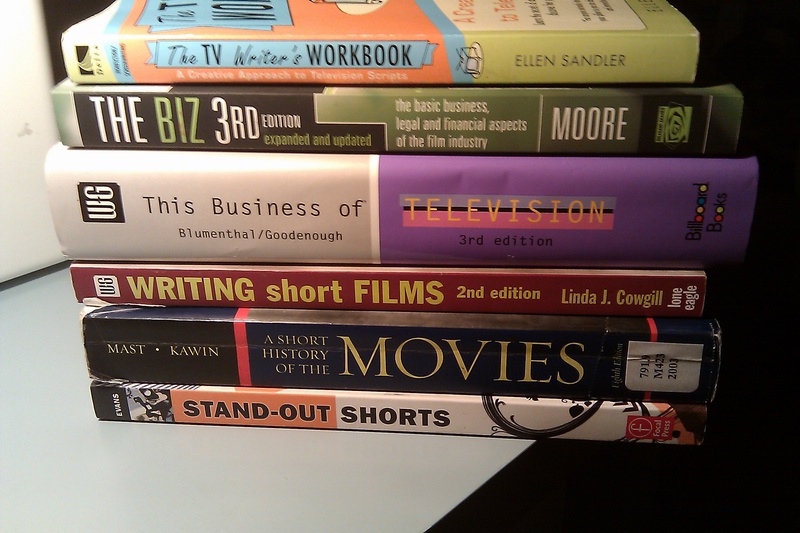 This week, I’ve been researching the required coursework at several top film schools: NYU, USC, UCLA, AFI, and Chapman. What I have done is create a curriculum of 5 quarters, consisting of about 5 courses each. Some quarters will have more courses in them than others, but each will have a cross section of categories: writing, directing, producing, tech, theory/history/analysis. I’m registered for this class at UCLA Extension, and it is the second part of the 2-part core requirement for the writer’s certificate: Beginning writing (outlining, cough cough) the 1/2 hour comedy spec script, and then this one, where we actually write it. I don’t know if there will be a book assigned with this class, but if not, I will also be using The TV Writer’s Workbook by Ellen Sandler as a guide to help me write my Modern Family spec script. The prerequisite class did not have a book to reinforce the stuff we learned and while it wasn’t 100% necessary, it probably would have helped a hell of a lot, since we just spent a lot of time workshopping this ONE GUY’s story over and over again. Reading and re-reading This Business of Television by Blumenthal & Goodenough. I was only assigned to read parts of it for my producing class last spring, so I’m going to revisit some chapters, and read others for the first time. Final project: analysis and critique of about 15 landmark TV shows. I’ll post more on that later. Reading The Female Brain by Louann Brizendine and The Immortal Life of Henrietta Lacks by Rebecca Skloot. The extracurriculars, just to spice things up a bit. And then, at the mid-point, and at the end, a self-evaluation. So, we’ll see how all of this goes. I definitely have to work out a schedule to handle all of this learning between the months of December and March. I do have a full-time job, you know.